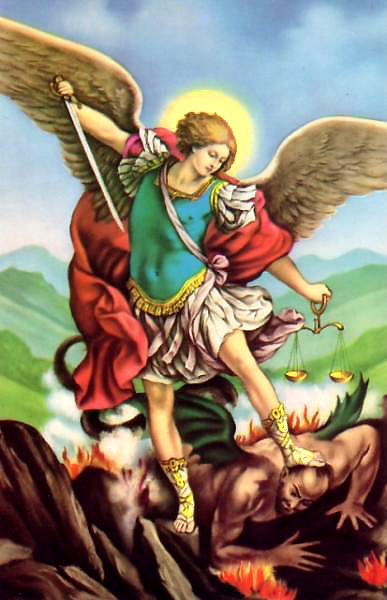 Here are instructions for invoking Archangel Saint Michael for his help & protection. This is an introduction meant to go along with a blog post I shall post tomorrow on how to invoke Michael specifically for cleansing your home or business of negative energy. I channel Michael & you can find his messages on his own Twitter account: https://twitter.com/AA_St_Michael. NOTE: I had a tremendous amount of trouble getting this blog entry to post. It kept getting “lost” and everything kept getting mysteriously erased. This just goes to show you that there are real forces in this world that work only for evil and they do not wish for this information to be widely known. That being said, read on to find out exactly how to invite Archangel Michael into your life and be blessed with his protection every single day. Next Free Reading for May 14, 2015.